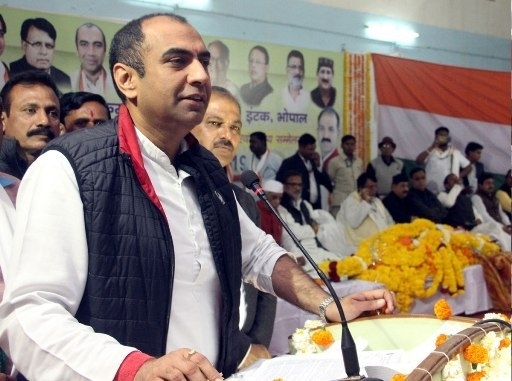 Bhopal: Energy Minister Priyavrat Singh said that under the fulfilment of the promise of “Electricity bill of farmers to be halved” in the manifesto the Indira Kisan Jyoti Yojana will be implemented and agricultural consumers of up to 10 Horse Power (HP), will now be given electricity at half rate. Now they will get electricity at 44 paise per unit for irrigation. Right now they are getting electricity at 88 paise per unit. Singh said that this point of the manifesto will be ensured on the implementation of the scheme from April-2019. Singh informed that according to the tariff fixed by the Power Regulatory Commission, if the farmer is a regular agricultural consumer of 5 Horse Power, his electricity bill would be of Rs 46 thousand 55 annually. In this the farmer pays Rs 7 thousand at the rate of 88 paisa per unit. The remaining amount of Rs 39 thousand 55 was paid by the government. Singh said that now the government has taken the decision that the farmer will pay only Rs 3 thousand 500 out of Rs 46 thousand 55. This rate will now be 44 paisa per unit. The remaining amount of Rs 42 thousand 555 will be paid by the government. So for now government will be given total subsidy amounting to Rs 10 thousand 400 crores instead of Rs 9 thousand 700 crores as given earlier.